PPC is the market leader for the 'last mile' of a broadband network. We offer xTTx™ solutions for coax, fiber and category cable around the world. PPC is proud of its worldwide reputation for technical leadership. We're connected to you and your business. It's the only way we can assure innovative product solutions and world-class service. Get this eBook to discover the ins and outs of the constantly developing world of broadband connectors. Build your knowledge and work more efficiently. 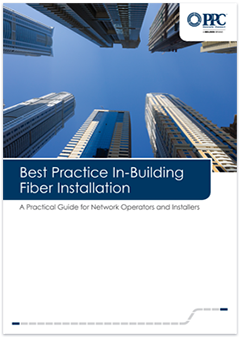 Get this eBook to learn best practices for fiber installation at apartment blocks and multi-story offices, and how to overcome the most common challenges.